A few weeks back on an excursion to the local flea fair, I thought I struck gold. It was Father’s Day. As a still somewhat freshly minted Dad, my wife decided to cut me a break on this sunny Sunday morning by giving me license to zip around the dusty used vinyl stacks and milk crates with impunity while she hung back keeping a much slower pace with our 3-year old daughter. My rounds soon became a race, as there was a fellow record geek who was hot on my heels trying to nab the rare wax before I could get to each stand. 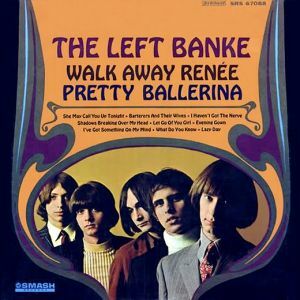 I won the race – my big score was a copy of The Left Banke’s debut LP Walk Away Renee/ Pretty Ballerina, a monaural copy for $2 with some of the original shrink wrap still on. Fans of 1960’s psychedelic and pop albums usually much prefer the mono mixes for a number of reasons; I prefer them mainly because they tend to sound punchier and they tend to bring out different elements of the songs that sometimes get lost in living stereo. They also usually hedge closer to the artists and producers original intentions. Having been a big fan of this album already, the excitement of scoring all different mono mixes was quite high. Once I got home, I inspected the back cover. My copy bears a stamp that indicates it once belonged to the now long-gone, Mello-Dee Disc Shops located in Scranton, PA. Too bad, I’m sure it was a groovy place. A few other things grabbed my attention too. First off, a mailing address for a fan club – yes, this was an age where bands had fan clubs that operated by snail mail. Long before the days of Bandcamps, Tumblrs, Twitters, staying hip to what your favorite group was up to meant sending an actual physical letter and hopefully getting some word or at least some kind of newsletter or typewritten correspondence back. Finally, the last thing I noticed was this little technical disclaimer from the fine folks at Smash Records. It states, “Play your Smash Monaural recordings on a Stereo phonograph. The sound quality of a Smash monaural recording is actually enhanced on a Stereo phonograph.” I sort of let that settle over me for a second. How can the same mixes in both speakers, be enhanced by playing it on stereo player? A few seconds later and some research revealed the truth. My mono copy was not truly mono after all, and this supposedly mono copy was a little more fool’s gold than the genuine article. That being said, I still think there are at least one or two true alternate mono mixes hiding on here. So while it’s spinning on the hi-fi, let’s take this Throwback Thursday as an opportunity to give this great album and band that created it the once over. These are just a few of the highlights on a killer debut that stands up to the test of time quite well. I often wonder how different the fractured, string-laden beauty of the third Big Star album might have sounded without this record setting the precedent. While the group in it’s 1960s iteration would follow up this record with one more before calling it a day (1969’s The Left Banke Too), by the time it was released founding member Michael Brown (the main writer of their debut) had already left the group. Although the follow up stands up as another solid entry in annals of 1960’s pop, it also sadly seems to lack some of the magic of their debut. Ultimately though, it doesn’t really matter with the sounds of this record forever preserved between the grooves, always ready to be discovered, even if sometimes it’s hiding in the dusty used record bins of yesteryear. 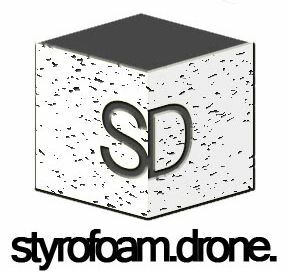 BUY the LP from Discogs – lots to choose from ! Posted on July 10, 2014 July 10, 2014 by the13thtrackPosted in LP, Reviews, Throwback ThursdayTagged pop, Pretty Ballerina, psychedelic, The Left Banke, Throwback Thursday, Walk Away Renée. This is a great record without a single song of filler. Several of the songs (Walk Away Renee and Pretty Ballerina included) were written by Michael Brown out of his unrequited crush on Renee Fladen, the girlfriend of another member of the band. The creative power of sublimation!